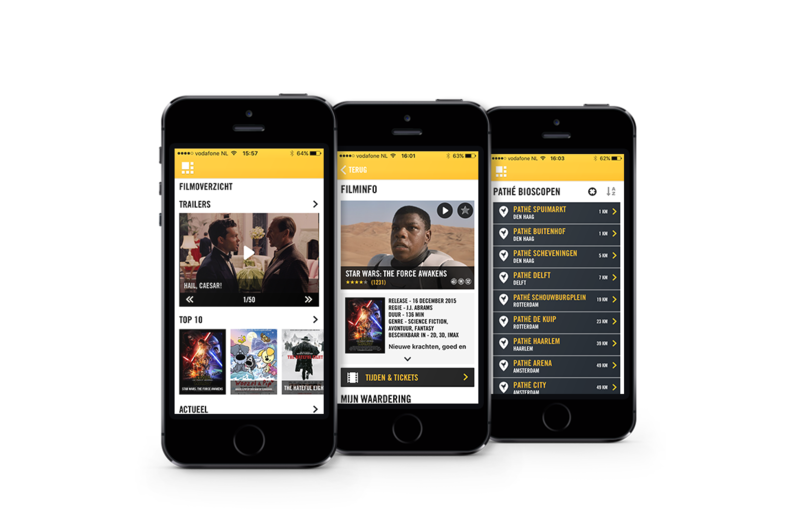 For European cinema chain Pathé Theatres, Sharewire developed Pathé Mobile which covers apps for iPhone and Android and the mobile site. With the apps, users can not only watch movie trailers and get film times, but they can also purchase tickets right from the app via iDeal, creditcard or PayPal. After a successful transaction, a 2D barcode is generated and shown on the device, which can be scanned in the cinema. Pathé has been a client of Sharewire before the iPhone area. It began at a time where the mobile devices from Nokia’s and Samsung (non-smartphones) were mostly usaged for mobile internet. Sharewire developed a mobile trailer solution for Pathé. With the launch of the first iPhone, Sharewire and Pathé continued extending Pathé mobile for smartphones. Sharewire has been responsible for the development of the Pathé apps for iPhone and Android and the mobile site. 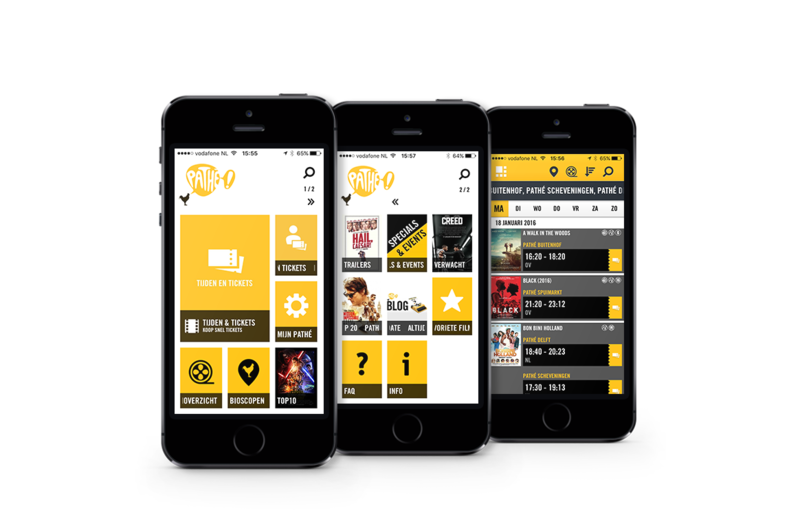 Pathé mobile has been one of the first m-Commerce apps in the Netherlands and provides in-app fullfillment of cinema tickets. Pathé mobile has over half a million monthly users and has conquered a position in the TOP 25 apps of all time in the Dutch App Store. On the release date of ‘Skyfall’, Pathé mobile was visited by 150.000 users. Read here the interview with Pathé about the secret to the success of Pathé mobile.